In the category Hygiene, we offer veterinarians cleaners and disinfectants, as well as protective clothing, various paper products and everything necessary for reprocessing instruments. Furthermore, you will also find cleaning and care products for animal skin and for personnel. 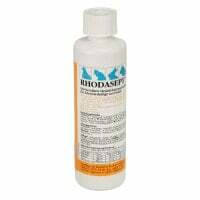 Whether you need udder care products, ointments and solutions or pest control sprays, this category has it all. Shop animal cleaning and care products, here! 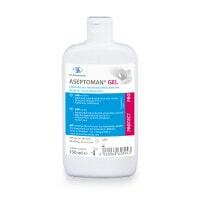 This category features hand sanitisers, skin antiseptics, disinfectant detergents, disinfectants for surfaces and instruments, as well as other cleaners for your veterinary practice. From ultrasonic cleaners and autoclaves to instrument maintenance products, veterinarians will find all the products they need for instrument reprocessing, here! Here, you will find paper towels, underlays, and disposable hand towels for use in veterinary clinics and practices; all at affordable prices! 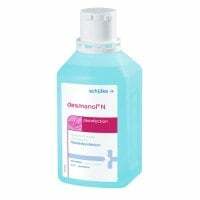 In this video, you will learn how one properly achieves surgical hand disinfection. From surgical hand washing to thorough disinfecting of the hands and underarms, every step is clearly explained. In veterinary surgeries, clinics and animal shelters where lots of animals come together, the maintenance of proper hygiene standards is imperative to prevent the spreading of diseases. This not only includes cleaning and disinfecting waiting areas and treatment rooms, but also hand hygiene of the staff. At Praxisdienst-VET, you will find high-quality hygiene products from name brands like Bode, Hartmann, B.Braun and Schülke at affordable prices. Protective clothing is useful in veterinary medicine to protect staff from direct contact with potentially infectious germs, chemicals or other damaging substances. With Praxisdienst-VET, not only do you have exam gloves and surgical masks, but you also have a wide selection of surgical clothing and safety glasses. 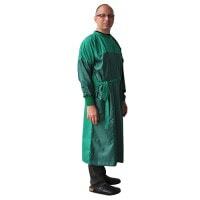 We also offer you various x-ray aprons. Cleaning and disinfection are the most important measures to take to eliminate infectious germs. Regular disinfection of the practice space, the hands and clothing greatly contributes in the fight against spreading germs. With Praxisdienst-VET, you will find everything you need for hygienic cleaning and disinfection of your spaces, professional clothing and hands. 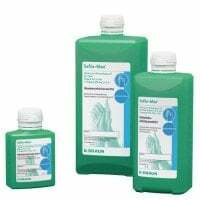 Not only do we offer you skin and hand sanitisers, but we also provide you with surface disinfectants and disinfectant detergents. For agriculturists, we keep preparates in stock with which empty or occupied stalls can be cleaned and disinfected. Whether it comes to maggots, ectoparasites or milben, you will find all of the proper preparates for fighting pests and parasites in your stalls, here. Germs can be very easily transmitted between animals by way of instruments. Therefore, conscientious cleaning, disinfection and sterilisation (if necessary) of each individual instrument after use is an important hygienic measure that greatly contributes to the prevention of infectious transmission. Instrument reprocessing not only includes cleaning, disinfecting and sterilising, but also general instrument care. Scissors, for example, should be regularly sharpened, the screws retightened and the joints lubricated. Whether you are looking for a cleaning pad, sterilisation packing or an autoclave, Praxisdienst-VET has everything veterinarians need for surgical instrument care and reprocessing. Praxisdienst-VET offers you a wide assortment of paper products for use in veterinary surgeries, clinics and animal shelters. In addition to paper towels, hand towels and multipurpose towels, you will also find incontinence pads that are ideal as an underlay for exam tables or as an absorbent inlay for transport cages. 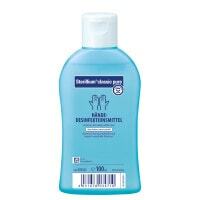 Naturally, we also carry cleaning and care products for use on animals. 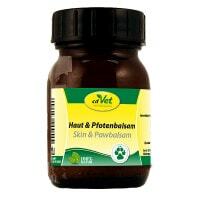 Whether you need skin care products, utter care products, ointments or solutions for the eyes, ears or wounds, Praxisdienst-VET offers you the proper care products for every area of application. 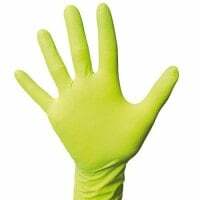 Prevent occurrences of cross-contamination and infectious transmission with regular cleaning and disinfection of surfaces, instruments, hands and clothing. 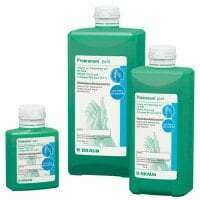 You can purchase the proper cleaning agents for achieving all veterinary hygiene standards from Praxisdienst-VET. You have a question about our hygiene products or need advice? Our customer service is here for you! You can reach us by telephone, E-mail or live chat.